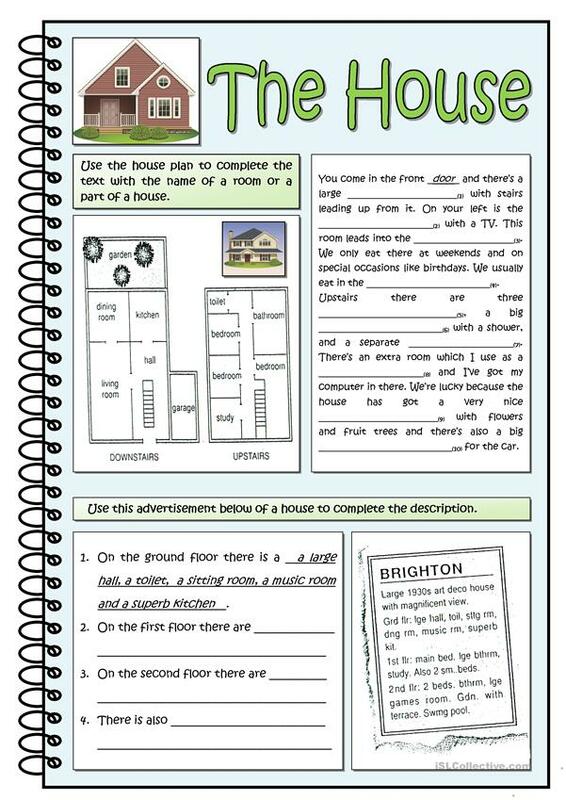 Describe the parts of a house. I used these exercises as a model to write and speak about student's own house. Then they write a description of their own house. The above downloadable teaching material is meant for high school students and adults at Elementary (A1) and Pre-intermediate (A2) level. It is great for consolidating Prepositions in English. It centers around the topic and words of Home.